This free quarterly online magazine was developed from SOuL Searchers Paranormal Investigators (SOuLSPI) as a way of communicating our experiences and to further our explorations into the realms of the supernatural and the unexplained. It has since grown to include information and articles from a variety of different paranormal investigation groups and individuals and caters to the wider paranormal community. Your suggestions, comments and contributions are welcome. Please send them to us via the email form on our contact page. Janine Donnellan is the founder of SOuLSPI (SOuL Searchers Paranormal Investigators) and Editor of the online Soul Searchers Paranormal Magazine. She is also Lead Investigator of the SOuLSP. Team. Janine has been conducting house clearings and paranormal investigations for over 15 years and established SOuLSPI Team in 2006. 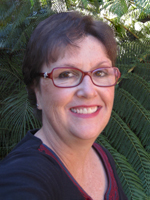 Janine has a certificate of Advanced Achievement in Parapsychology (1998) Australian Academy of Applied Parapsychology and her interest in the occult was developed as a young child through her spiritualist Grandfather. Janine is also an Energetic Healer and Reiki practitioner. 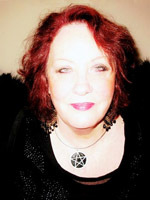 Jenny is the Website Manager and Part-time Investigator for SOuLSPI Jenny’s fascination with the paranormal and occult developed during her childhood and in later years she explored areas such as psychic development, Reiki and other alternative healing methods. Having a background and training based in science (Bachelor of Science, Zoology) she understands the importance of investigating all possible mundane causes (eg. psychological, physical) of any alleged paranormal activity. However, she keeps an open mind to all possibilities and has personally experienced many episodes of claircognizance, clairvoyance and one ‘definite’ ghost sighting, for all of which there is at present no satisfactory scientific explanation. Jenny has been part of the SOuLSP. team since it’s beginning in 2006.